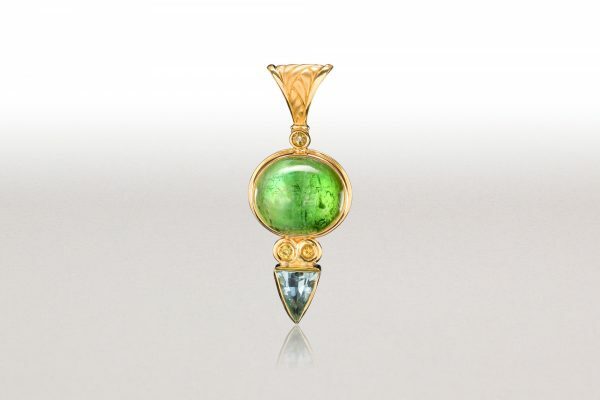 This one-of-a-kind 18k pendant features a bright, apple-green tourmaline. A faceted shield-shaped aquamarine is fixed below and accented with grossular garnets. 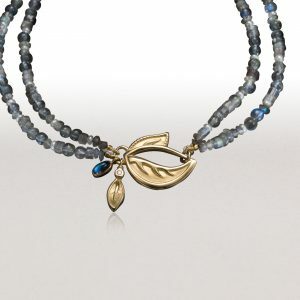 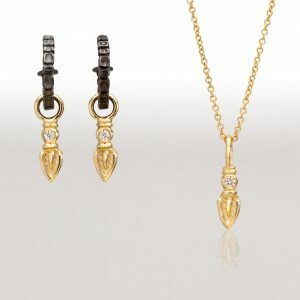 This pendant will accommodate pearls or beads up to 6mm.